ROMANCE BOOK PARADISE: Tracy Sumner with Giveaways! Happy Holidays everyone! I hope you all are enjoying your holidays and had a very Merry Christmas and here's wishing for a prosperous New Year! Today we'll meet historical romance author, Tracy Sumner and she's here with giveaways! I’m thrilled to be here! When I was asked for a holiday post, I thought about the things I love about the season. Glass of hot spiced wine and a romance novel anyone? MAKE AHEAD The spiced wine can be kept overnight at room temperature. Reheat before serving. The first rule when dealing with scoundrels? Never wager more than you are willing to lose. Especially in matters of the heart. TIDES OF PASSION, the National Reader’s Choice for Best Long Historical, debuted in October 2011. 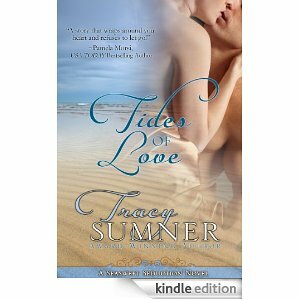 The second novel in the Tides series, TIDES OF LOVE, arrived in November. Tracy’s holiday novella, which begins the new Southern Heat series, TO DESIRE A SCOUNDREL: A Christmas Seduction, released mid-December 2012. Watch for the next Heat novel, TO SEDUCE A ROGUE, in late January. Comment for a chance to win a copy of TIDES OF PASSION and TIDES OF LOVE! Also, everyone who signs up on her website for future communications will be entered in an early 2012 KINDLE draw! Good luck! For further stops in this celebration tour, please check the Author Page. Tracy, that drink recipe sounds wonderful. Dunno if we have kirsch here. The hot spiced wine sounds great! I was just thinking I'd never had spiced wine! Excellent. And the novella looks delicious as well! Here's wishing you ladies all the best for 2012 as well! What a super recipe. I will try it, if I can find kirsch. I'll search for it. I live outside of Charlotte, Tracy. In Rutherford county. The novella sounds like a wonderful read to cozy up with this winter. Merry day after Christmas. Great post, Nas! Let me know what you think when you try it! Best thing is, it makes the house smell delicious! I'm in the city -- very close to uptown! The novella is doing well -- currently #2 in historical romance. I'm thrilled! This recipe sounds heavenly, and I wouldn't mind having it with a side of tasty man, like the one on the cover. I love your title, Tracy. And the blurb sounds awesome. Can't wait to see if this comes to my bookstore! All ebooks, Marlena! I went the print book route the first time around. This time, all mine -- and E!! We've (I should say Mike, my better half, the real cook of the two of us) never thought to put peppercorns in our mulled wine! What a great idea! Congratulations on the awards, Tracy! Thanks Nas and Tracy for excellent recipe and thank you so much for the giveaway and the chance to win I just adore these books they sound soooooo good! I love historical romance. I think that it goes perfectly with the winter season, when you just want to escape from a cold, dull world and escape into another time and place. Actually, I could say almost the same thing about the wine recipe. Happy new year.